The cultural hot-bed of Sri Lanka has been shooting up the rankings of must-visit destinations in recent years. Rebounding from the cataclysmic tsunami that blighted so much of the island in 2004, there is a resurgent economy buoyed by the variety of travelers who arrive on its shores each and every day. With such an assortment of activities on offer – from surfing to safaris to hiking – one of the friendliest populations in the world and some of the of the finest cuisine known to man, it is little surprise that jetsetters have set their sights on this Indian Ocean isle. 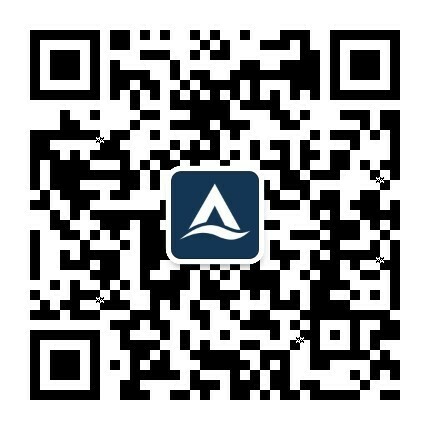 Read on for a taste of what to expect on arrival. Sounds so simple. But trust us, it’s not. Rice and curry is a staple you will see on every restaurant menu, and for good reason. Choosing between fish or meat, every establishment has their own version of saucy goodness served with an abundance of rice to mop up the remnants. Delivering five or six dishes of delicately spiced fare, expect no two restaurants’ to be the same, but know that each time you order, you will be blown away. While the heat of the curry can vary, the quality is always exemplary and this is arguably the most economical way to eat. Typically costing around 400 rupees, you will leave satisfied and mesmerized by the execution of each of the tasty delights delivered on your rice and curry tray. 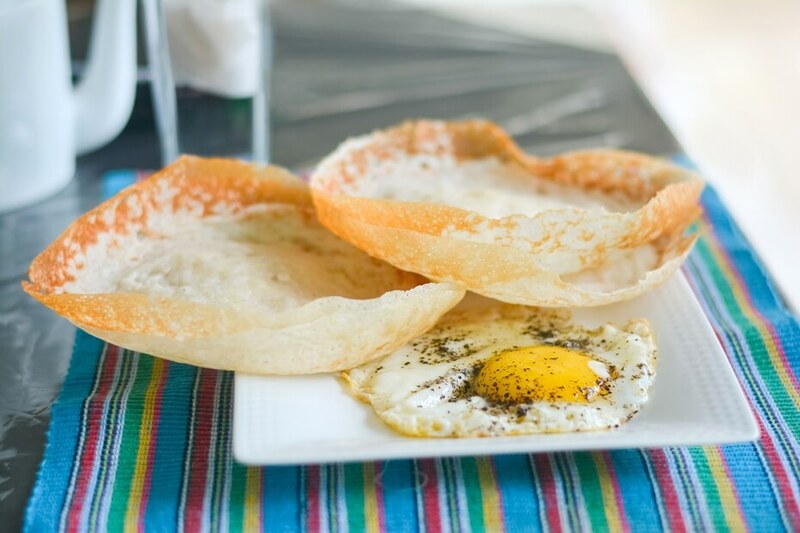 A pancake to you and me, hoppers are another culinary staple that abound throughout the island. Comprised of a fermented batter made from rice flour and coconut milk, hoppers can be eaten at any time of day, in both savory and sweet forms. For breakfast, it is not uncommon to receive a pancake with an egg sitting proudly in the middle, served alongside a variety of piquant chutneys and relishes. Come lunchtime, perhaps it’s time for a richer affair as the string pancake comes alongside a coconut dahl - richly spiced with cardamom and cumin to be mopped up with the hands. Then for the sweet-toothed - look forward to a more traditional pancake experience as the hopper is prepared with the addition of treacle to give it a more indulgent edge. Prices can vary but, being a simple yet traditional dish, paying between 200 – 400 rupees is not uncommon. 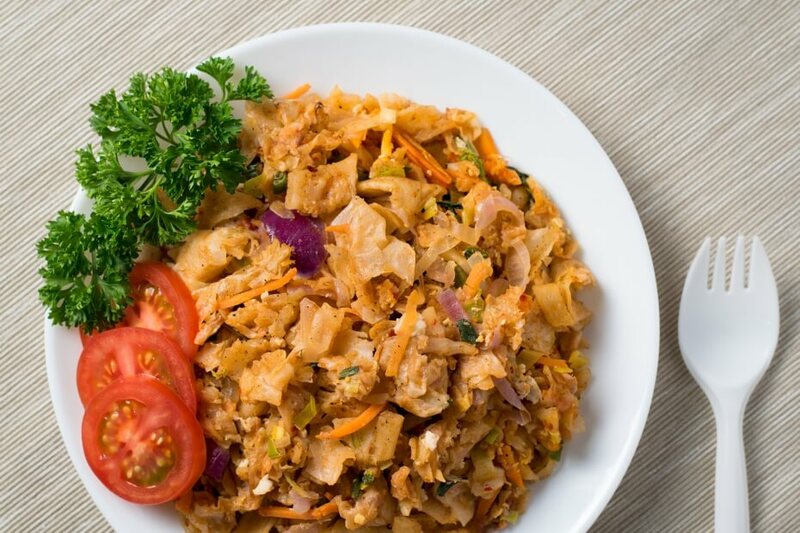 Kottu is an intriguing dish from the heart of Tamil culture, originating in the east of Sri Lanka in the Batticaloa region. Almost resembling a Pad Thai, the noodle-like consistency is actually achieved through chopped roti, stir fried alongside a host of other crunchy vegetables. Adding soy, stock and a variety of spices to the mix - and finished with an egg - this is a hearty dish that is unsurprisingly delicious. There is an enchanting ceremony to watching the preparation of Kottu as chefs stand within their road-side Perspex stand – hot-plate smoking – and they tap and chop their ingredients with two large, tray-like blades. It is rhythmically hypnotic and extremely enjoyable as a spectacle. Plus, the sound means you know you are in for a treat as you arrive in any new destination, particularly when paying just 350 rupees for a filling combo. Though predominantly a side dish, sambals are an integral feature in any meal and provide a hit of chili freshness to liven up fragrant curries. Prepared with grated coconut or shredded vegetables, mixed in with crushed onions, tomatoes and finely sliced green chilies, the intense heat quickly dissipates into a mellow warmth that truly sets off the rest of the flavors on the plate. As you spy the speckled pile of inviting coconut, it is difficult not to dive in, sprinkling the goodness over each mouthful to really kick start the flavors. Sri Lankan cuisine can be more mildly spiced than dishes of its Indian counter-part but the addition of sambal allows visitors to pick and choose just how much heat they wish to handle. Given this tends to be a side, the cost is minimal (perhaps only 80 rupees) but is more traditionally enjoyed alongside hoppers, or with the more substantial rice and curry. 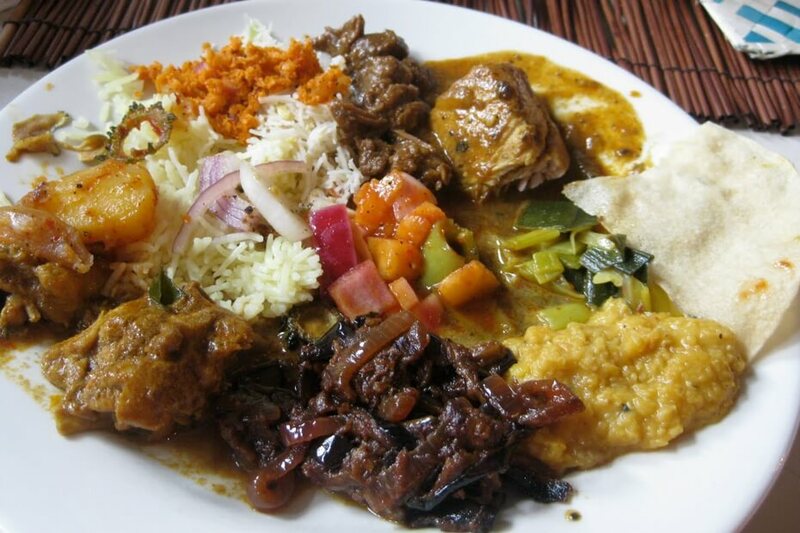 Despite the meat curries on offer throughout Sri Lanka, much of the interest lies in their fish and vegetarian dishes. One of the unexpectedly meaty surprises that is, itself, a vegetarian dish is the jackfruit curry. A rather unassuming foodstuff, the jackfruit is the product of a huge green orb that you will often see lying around the roadsides as you travel through the island. Little do visitors know that inside this gigantic fruit lies a richly tender flesh that has the most divine texture when cooked low and slow and mixed in with an abundance of fragrant spices. 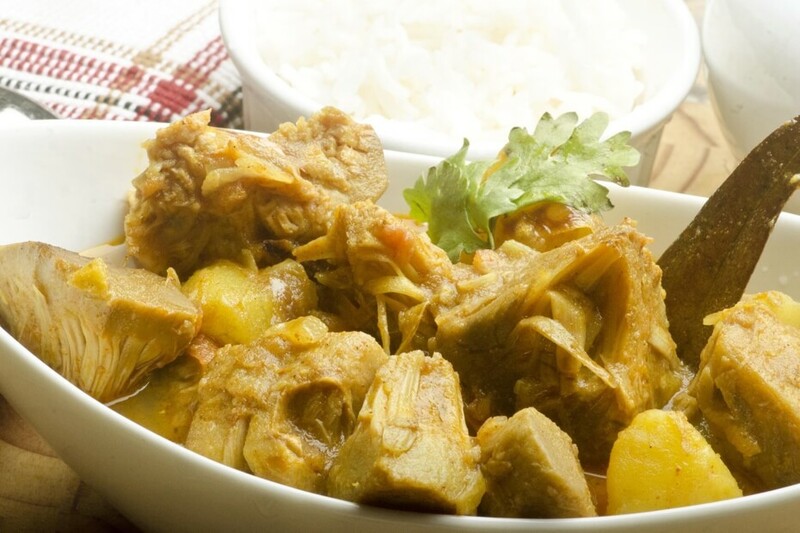 Cooked with garlic and ginger, mustard seeds and a heady mix of curried spices, the jackfruit absorbs the flavor into its soft flesh, exploding with each mouthful as you tuck in to the most sublime of meaty substitutes. Expect to pay around 500 rupees for such a dish. 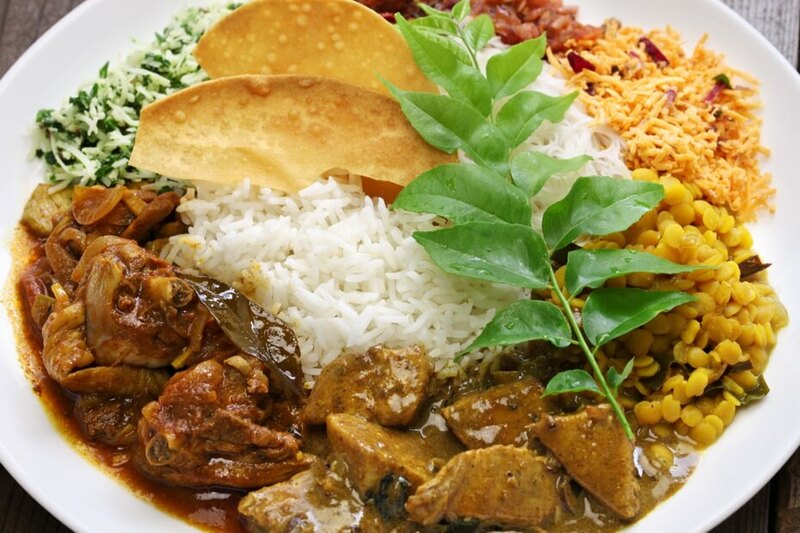 Sri Lanka is built on a hegemonic culture that draws deep inspiration from its Dutch heritage with dishes like Lamprais reflecting such Mediterranean influences. Combining the Dutch words for ‘lump’ and ‘rice’, this is a combination dreamt up by the Dutch Bergher community, taking rice, meat and the chili sambal, then steaming it all together in a banana leaf. Adding spices such as cardamom, clove and cinnamon, alongside rice that has been cooked in pork or beef stock, creates a richly-flavored bundle of goodness. 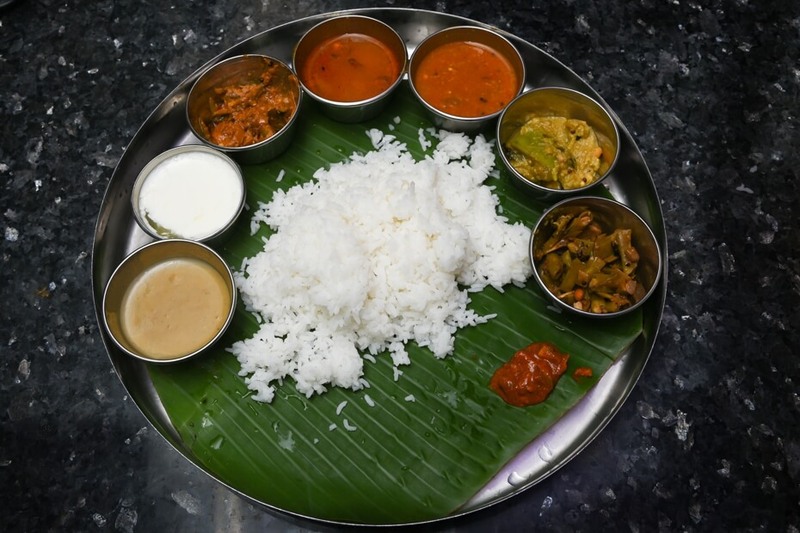 When stuffed into a banana leaf, paired with a meat curry and sided by a starch or vegetable, you will feel more than satisfied when you put down your knife and fork. The flavor reflects the more tempered palette of Dutch colonialists so expect a savory fragrance rather than an overly hot spice. For 400 – 600 rupees, this is a great value meal that will satisfy even the hungriest of travelers. It is difficult to describe just how sublime the food in Sri Lanka is. There is an enormous amount of pride placed in each and every dish – from the freshest of fish through to the most fragrant of vegetable curries - and the spicing is refined yet pronounced, with more individuality between dishes than one might expect. Couple this with a cup of the world’s greatest tea, this is a culinary experience to behold. If you haven’t already, consider Sri Lanka for your next stop off. With luxury accommodation on offer through the likes of Asia Villas, expect nothing short of a five-star vacation from the second you step foot in this sub-tropical dreamland.